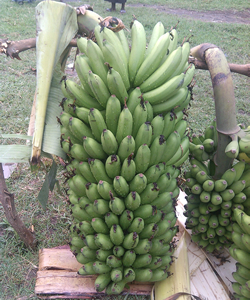 Agriculture remains the backbone of Uganda’s economy. In 2012/13, the sector accounted for 25.3% of the country’s GDP from 24.7% in 2010/11. It employs about 72% of the total labour force (formal and informal), of whom 77% are women, and 63% are youth, mostly residing in the rural areas. Farming is still dominated by smallholder farmers engaged in food and cash crops, horticulture, fishing and livestock farming . Agricultural extension plays a crucial role in promoting agricultural productivity, increasing food security, improving rural livelihoods, and promoting agriculture as an engine of pro-poor economic growth . RUHEPAI engages in provision of extension services such as farmer education, delivery of information inputs, follow up and advisory services needed to meet the current challenges agriculture is confronted with such as pests and diseases, low productivity, prolonged draughts, poor soils and deterioration of the natural resource base. 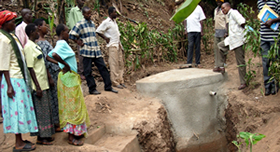 Uganda is one of the countries that promotes saving and credit approaches as a vehicle to poverty reduction. Saving and credit schemes are a proven potential for financial solution to people with low income levels especially women and youth. It helps very poor households meet life basic needs and is associated with household economic welfare improvements. This results into women economic participation and empowerment hence promoting gender equity. 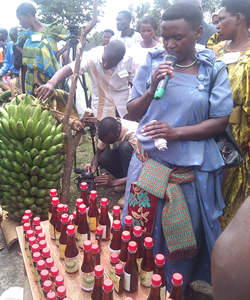 RUHEPAI gives priority to women and youth farmers (low income earners) in extending financial services including education on saving approaches, sensitization on different credit facilities, skills on credit facility management, developing marketing strategies and advocating for affordable interest rate credit facilities. Poor health is one of the most important factor pushing households into poverty and destitution majorly affecting women and youth. Yet, a healthy population is a major determinant of national efforts towards socio-economic transformation which requires healthcare support services. Poor women find it difficult to access healthcare facilities due to distance to the health centre, lack of money for medical treatment, lack of time and dependency of men for permission to leave home to go and seek health services. Sexually transmitted diseases such as syphilis, candida and genital sores combined with inadequate family planning services affect women more than men. RUHEPAI supports rural communities and empowers them with information, knowledge, skills and tools of healthcare access, utilization, provision and delivery. The continued disparities between men and women remain a global concern as women continue to experience social isolation, economic vulnerability and lack of access to health care information. In Uganda, women are still affected by high levels of poverty, discrimination, low social status, illiteracy, limited access to resources, lack of collateral to access credit, poor access to markets and negative sociocultural practices that foster violation of their rights. RUHEPAI integrates gender related aspects that promote gender sensitive leadership and decision making at all levels of farm production, saving and credit as well as healthcare.